Anonymous Lion Limb, the Boy King of the South Sea Islands. Lion Limb, the Boy King of the South Sea Islands. Title: Lion Limb, the Boy King of the South Sea Islands. 4. Lion Limb, the Boy King of the South Sea Islands. 5. Lion Limb, the Boy King of the South Sea Islands. 6. Lion Limb, the Boy King of the South Sea Islands. 7. Lion Limb, the Boy King of the South Sea Islands. 9. Lion Limb, the Boy King of the South Sea Islands. 10. 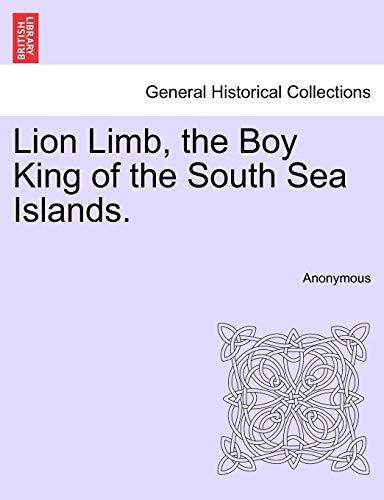 Lion Limb, the Boy King of the South Sea Islands.